Mugs, Mugs, and Even More Mugs! 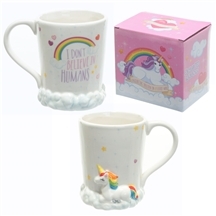 We are proud at Sparks Gift Wholesalers to offer such a wide, varied and exciting range of Mugs, Mug Gift Sets, Gift Mugs, Cup, Saucers and much more. 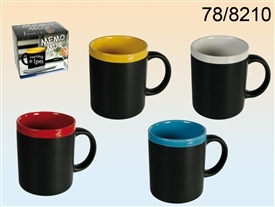 Fancy Gift sets with an astonishing array of mugs in various designs. Wholesale ceramic mugs, wholesale fine china mugs, bone china mugs, wholesale printed mugs, plain mugs, retro mugs, leonardo mugs, floral mugs, animal mugs, themed mugs and cups and saucer sets. Wholesale fancy gift mug sets, wholesale fancy gift tea sets, wholesale fancy giftware cup and saucer sets. Sparks Gift Wholesalers are based in Kent and wholesale fancy gifts and fancy gift products to the gift retail trade. Wholesale Dog mugs, Cat mugs, Golf mugs, Fishing mugs and Music mugs, Football mugs, Rugby mugs, Cricket mugs and Sports design mugs, Floral and Flower print mugs, Wildlife and Safari Animal mugs, Farmyard Animal gift mugs, Wedding Gift Mugs, Newborn Baby Mugs and many contemporary themed mugs. Wholesale Mum and Mothers Day mugs, wholesale Fathers Day mugs, Dad mugs, Mr & Mrs mugs, beach and seaside print mugs, countryside print mugs, Wholesale Hobbies and Fun design gift mugs.